Selling a home is a process that often involves the help of a real estate broker. As a seller, you may work with a broker to get your property on the market and find a suitable buyer. 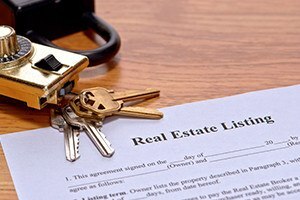 The listing agreement will spell out the relationship between you and the broker. Before you enter into an agreement with a broker, you should understand the terms of the listing agreement, including your mutual rights and obligations under the contract. At Pulgini & Norton, we represent clients in the purchase and sale of property. A Boston real estate sale lawyer can guide owners through the process of selling a home. If you want to enlist the help of a broker, contact us to discuss the listing agreement and find out how we can assist you. When homeowners decide to sell their property, they often engage the help of real estate brokers. These agents act as intermediaries between sellers and buyers in real estate transactions, but in most cases, the broker represents only one party in the transaction. If you decide to engage a broker, he or she will require that you sign a listing agreement, which is the contract between you and the broker. It creates an agency relationship. The broker, as your agent, agrees to help you find a buyer for the property in exchange for a fee, or commission. By creating an agency relationship, the broker must act in your best interest. He or she owes you his or her undivided loyalty, accountability, and confidentiality, and he or she must put your interest first in negotiating the best price for the property. Brokers generally require that sellers sign an exclusive right to sell listing agreement. An exclusive right to sell gives the broker the right to earn a commission if the property is sold by anyone. In other words, you will have to pay the broker a commission even if you, the seller, find the buyer through your own efforts. You can also enter into a non-exclusive listing agreement. With a non-exclusive, a seller can use his or her own efforts to sell the property. The seller can also employ other brokers to market and sell the property. A broker who agrees to a non-exclusive will typically want a higher commission if it finds a buyer. Present all offers in a timely manner. There are key terms that a seller should consider negotiating. For example, you will want to negotiate the listing period, or how long the broker has to sell the property. This is particularly important in exclusive right to sell listing agreements, where the broker is generally owed a commission if a buyer is found at any time during the listing period, irrespective of who finds the buyer or how the buyer is found. You will also want to set out your expectations when it comes to marketing the property. For instance, you may want the broker to agree to a certain number of open houses over the course of the listing period, or to advertise in particular types of media, such as newspapers or the internet. In the event that you want to terminate the agreement before the expiration date, you can turn to the language of the contract to see if anything applies to your particular situation. For instance, you may be able to terminate if the broker’s efforts to market your property fall short of the expectations set out in the agreement. At Pulgini & Norton, our property transactions lawyers bring more than four decades of combined experience to assisting Boston sellers and buyers in residential real estate matters. A Boston listing agreement lawyer at Pulgini & Norton can review and negotiate listing agreements for our clients, explain their terms, and help them resolve issues they may encounter with their brokers. We serve individuals in Brookline, Malden, and Andover, among other communities across Massachusetts. For a consultation, give us a call at 781-843-2200 or fill out our contact form online.